An enhanced glasionomer luting cement with extended working time (3' 30") and a snap set. 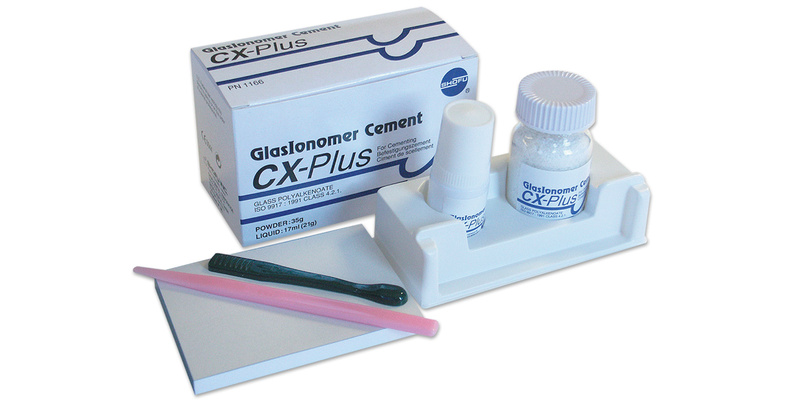 Indicated for cementation of crowns, inlays, long span bridges and orthodontic appliances. Low film thickness with high compressive strength and easy handling. High fluoride release. Radiopaque. Contains: 1 x 35g powder, 1 x 17ml (21g) liquid, mixing pad, powder scoop, spatula. Contains: 3 x 35g powder, 3 x 17ml (21g) liquid, mixing pad, powder scoop, spatula.